As a world leader in the field of automated packaging, IMA is present today with a Business Hub entirely dedicated to Coffee Processing and Packaging. Covering all aspects of the processing and packaging processes, from consultancy and design to production planning and turnkey solutions, IMA provides equipment for cleanig, roasting, grinding, dosing, filling, sealing, cartoning and end-of-line packaging. Catering for all requirements in the coffee sector, and with decades of specific experience, IMA plays a role as primary technological partner and business advisor in all areas of coffee processing and packaging. Alongside the world’s most comprehensive range of coffee processing and packaging equipment, specially conceived tailored solutions are developed to respond to the market’s fast evolving needs. The broad knowledge gained globally enables IMA specialists to optimise customers’ investments and ensure ongoing assistance and technological developments to maintain their competitive advantage. Since the time GIMA decided to enter in the coffee market, it has consistently been able to impress its customers with extremely innovative technical solutions, utmost flexibility and reliability. Its custom tailored solutions make GIMA the ideal strategic partner for industry leaders who constantly strive to meet new market trends. Now GIMA occupies a leading position in the global coffee market and it covers all aspects of the packaging process, from consultancy and design to production planning and turnkey solutions: it provides equipment for dosing, filling, sealing, cartoning and end-of-line packaging. Catering for all requirements in the coffee sector, and with decades of specific experience, GIMA plays a role as primary technological partner and business advisor in all areas of coffee packaging. 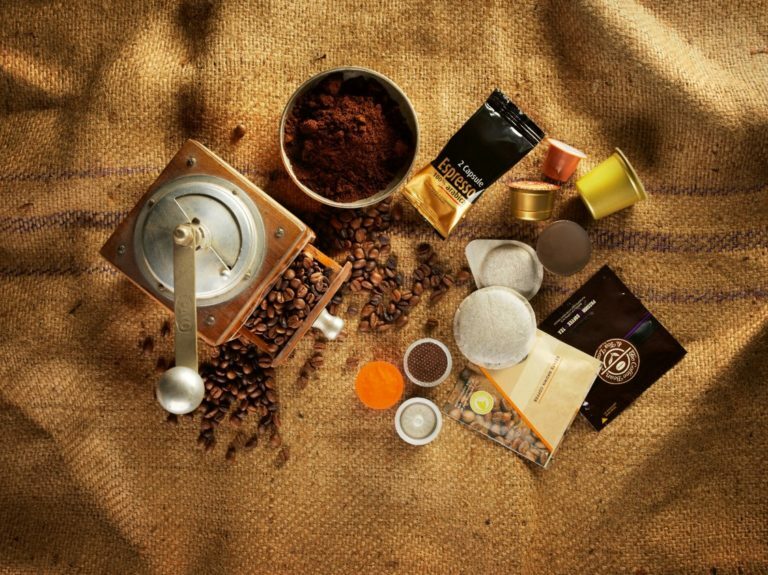 Alongside the world’s most comprehensive range of coffee packaging equipment, specially conceived tailored solutions are developed to respond to the market’s fast evolving needs. Thanks to such experience, GIMA is able to provide state-of-the-art solutions perfectly tailored around product and process specifications. Based in Parma, Mapster designs and manufactures complete capsule filling and packaging lines for the coffee industry. Thanks to the implementation of today’s latest technologies in the specific field of coffee capsule production, Mapster is able to offer coffee packaging equipment with the best integrated solutions. An ample range of equipment is available to handle capacities going from just 60 capsules/min to highly efficient production lines reaching volumes of 360 capsules/min. Alongside the selection of capsule fillers, Mapster provides automatic vertical packaging equipment. Thanks to technically advanced solutions, competitive prices and proven reliability, Mapster represents a reference in the market sector, also providing qualified assistance and supportive consultancy to customers wishing to safeguard their position in the market. Petroncini designs and manufactures a complete range of equipment for green coffee handling and processing, a vast selection of roasters for all capacity requirements and high-quality grinders to satisfy the most demanding customers. An historical brand in the coffee industry, Petroncini has an in-depth understanding related to all aspects of the industry and has decades of experience in creating the most successful technical solutions. Thanks to the broad knowledge base of our engineering department, Petroncini regularly answers countless requests from global customers and is able to share the best solutions designed for all types of needs, from small laboratory applications to major industrial plants. IMA boasts widespread technical expertise gathered from a broad range of industries that require turnkey packaging solutions. Together with its close attention to the needs of the customer and to the trends which influence the market, with a cluster of specialist companies, IMA can provide the coffee packaging industry with turnkey production lines designed to maximize productivity and enhance product quality. As well as a dedicated inhouse area for full line set-up, IMA offers facilities and fully trained staff to take care of equipment assembly and integration on IMA premises.